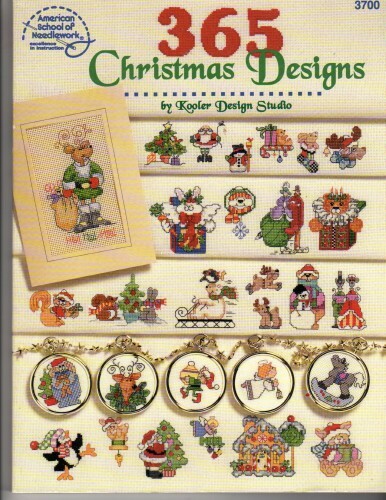 American School of Needlework 365 Christmas Designs cross stitch book. Softcover, 152 pages. Kooler Design Studio. Chapters include A Very Merry Holiday, The Christmas Spirit, Tis the Season, Deck the Halls. Appears new to like-new. Out of print.